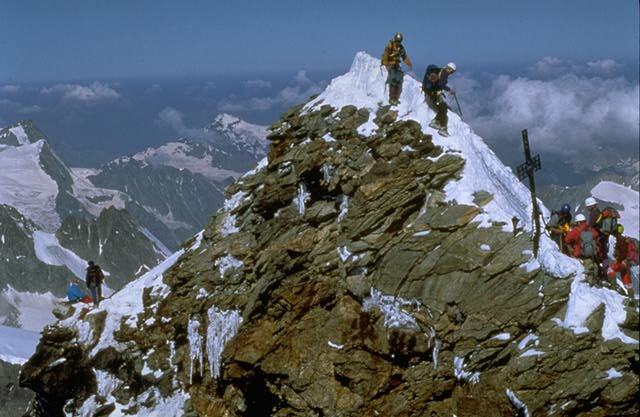 Looking towards the Italian summit of the Matterhorn (4477m). The Matterhorn itself defines the Swiss-Italian border. Visiting Zermatt? Hike to spectacular "Matterhorn base camp" with the Zermatt Walking Guide.